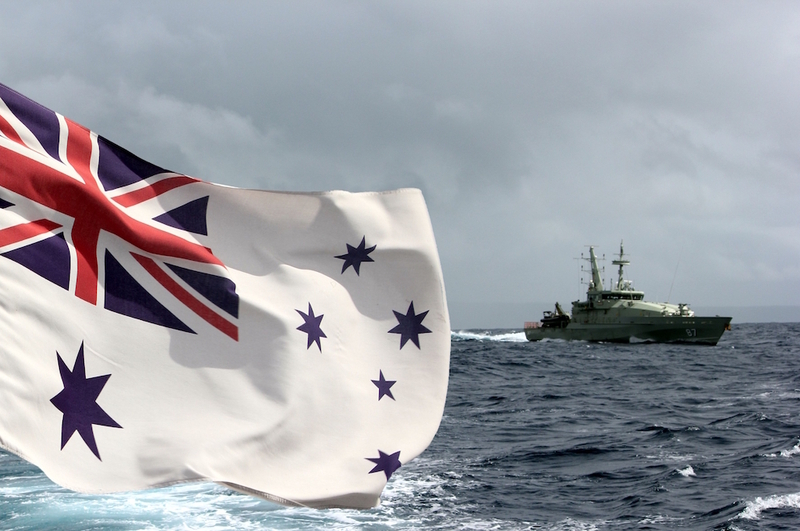 Operation RESOLUTE is the ADF's contribution to the Whole-of-Government effort to protect Australia's borders and offshore maritime interests. It is the only ADF operation that currently defends the Australia homeland and its assets. The Operation RESOLUTE Area of Operations covers approximately 10 per cent of the world's surface and includes Australia's Exclusive Economic Zone which extends up to 200nm around the mainland. Christmas, Cocos, Keeling, Norfolk, Heard, Macquarie and Lord Howe Islands also fall within the Operation RESOLUTE boundaries. Commander Maritime Border Command (MBC), Rear Admiral Peter Laver, RAN, is the overarching operational authority that coordinates and controls both Defence and Australian Border Force assets from his headquarters in Canberra. Maritime Border Command is the multi-agency taskforce which utilises assets and personnel from both the Australian Border Force (ABF) and the Australian Defence Force (ADF) to safeguard Australia's maritime jurisdiction. Its maritime surveillance and response activities are commanded and controlled from the Australian Maritime Border Operations Centre in Canberra. Deputy Commander of Operation RESOLUTE, Commodore Brenton Smyth, RAN, is responsible at the frontline for ADF assets operating under Operation RESOLUTE. HMAS Pirie departing Smith Point refuelling depot at Christmas Island, as seen from the stern of HMAS Larrakia, while on Operation RESOLUTE duties. At any one time, up to 800 ADF personnel at sea, in the air and on the land, are working to protect Australia's borders and offshore maritime interests. They work alongside personnel from Australian Customs and Border Protection Service and other agencies. In addition, ADF units transiting the area of operations, whilst not assigned to Operation RESOLUTE, also contribute to the overall surveillance and security effort through their presence. Operation RESOLUTE news articles are available on the Navy Daily website.